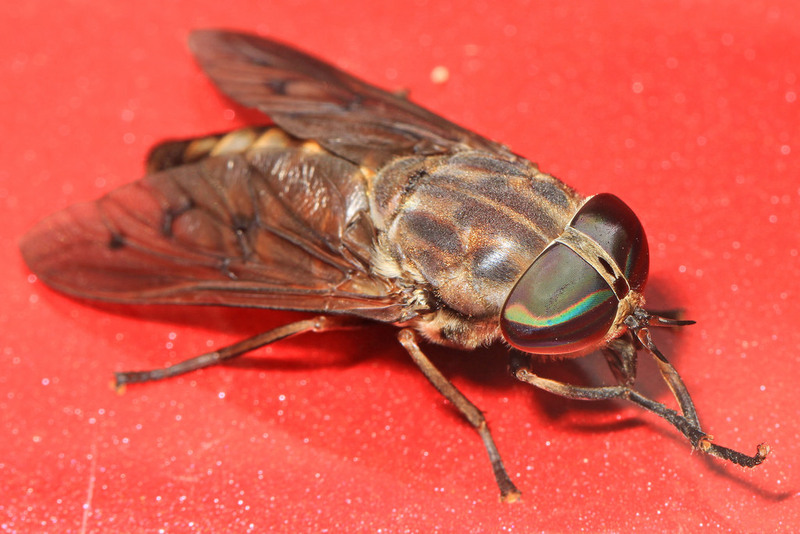 Horse Flies are often large and agile in flight and the females bite humans and animals to obtain blood . Horse Fly females are aggressive blood feeders , while males do not consume blood but feed on pollen and plant nectar's. Horse Fly bites are painful adn will usually leave a weal around the site and your symptoms may include a rash dizziness wheezing and few people ay even experience an allergic reaction .